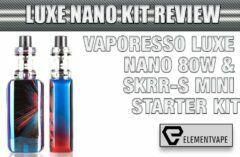 Since the vaping industry took the world by storm, vape mods have evolved from the original starter pens to the premium models available today. 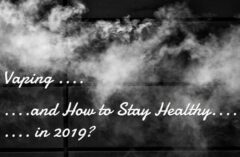 With the evolution of equipment has come the developmentof vaping as a hobby, even an art form,and the industry must keep up, producingnew equipmentthat provides vapers with a more advanced vaping experience. These premium mods are available in all shapes, sizes,coloursand styles,because it wouldn’t do to pack so much incredible power into the same dullblack box every time. No, these vaping artists need something much more personalisedand expressive. You can find mods with designs ranging from a simple, sleek, black aesthetic to an intricatelycarved metal inlay, as well as a variety ofrad graphic prints or branded with bold, bright colours. 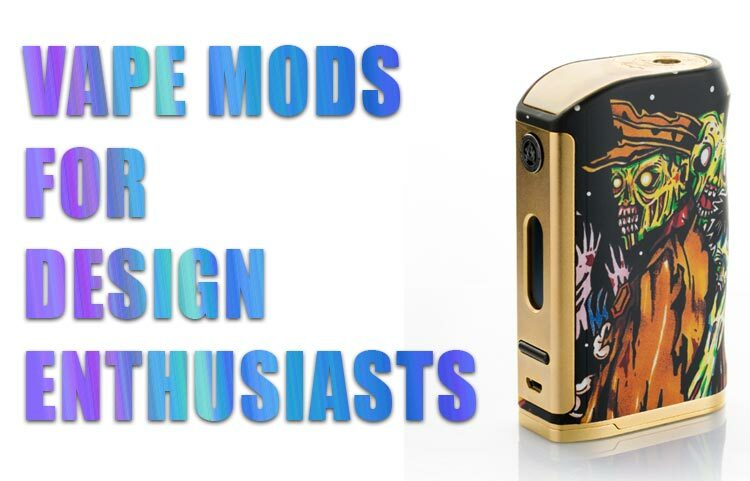 These five vape mods top the market for design enthusiasts looking for an expressive, striking vaping style, while still maintainingoptimumstandards of power and control. 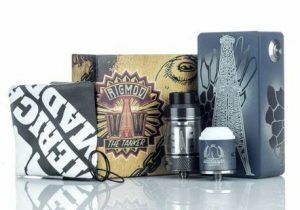 These vape mods by Rig Mod are the total package for design lovers. This American-made box features an incredible fused chip which helps to prevent any hard shorts, as well as a potentiometer that allows you to adjust wattage, allowing up to 180W. However, the box maintains a mechanical style look and features a one-button, no-screen design. It’s sleek and simple style offers the perfect canvas for its incredible “Rig Mod” design, featuring a metallic oil rig inlay paired with bright, bold colours. The mod is available in three colourschemes, including “Cotton Candy Dragon”, “Green Dragon” and “Blue Dragon.” Rig Mod also features this design and set of colourschemes on both a tank and an RDA, so you can get a matching set featuring this one-of-a-kind design. 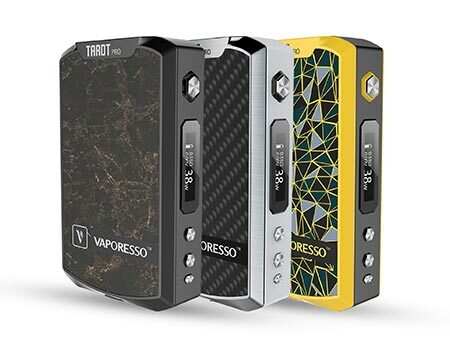 These incredibly advanced vape mods offer a spectacular amount of personalization options, as well as an intricate design and futuristic vaping technology. The Tarot Pro 160W TC Mod is exceptionallysmall, but this doesn’t hold it back from being both impressive and powerful. The tiny box is made of zinc-alloy, making it resistant to corrosion and extremelylightweight, whilstalso maintaining ultimate durability. The adjustable wattage also allows you to adjust the power output to your liking, ranging anywhere from 5W to 160W. Therefore, this mod is compatible with almost any of your favouriteatomizers. Along with adjustable wattage, you can experience adjustable temperature control, allowing you to use any coil material or build, while still avoiding any burnt flavourand the dreaded dry hit. 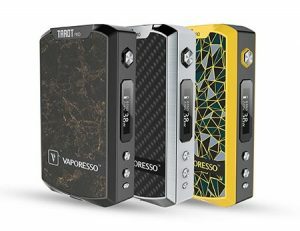 Aside from being both tiny and extremely powerful, the Vaporesso Tarot Pro 160W TC Box features two intelligible, futuristic design options. The first, “Yellow Fractal,” has a sleek, geometric pattern on its solid black faceplate, paired with a bright yellow rim for contrast. The second design, “Black Marble,” features a design that is a bit quieter, but equally as beautiful and unique, and easilyas elegant as it sounds. This small, but incredibly powerful Tesla Steampunk Nano mod features a unique die-cast design. It provides variable wattage options, ranging from 7W to 120W in 0.5W increments, as well as a temperature-control option. You can enjoy the memory system which stores up to three separate profiles, so you can easily swap between your favouriteatomizers. The handheld also features a comfortable, slanted firing button and an on/off switch to prevent misfiring when you slip this tiny box into your pocket. 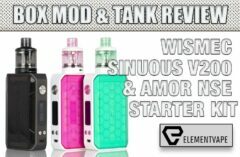 These all-in-one style vape mods are an excellentoption for beginner vapers who don’t want that “beginner’s mod” look. Itscompact design offers ultimate portability. Its all-in-one style is convenient for new users because you don’t have to purchase a separate atomizer. In fact, the tank is built into the product, minimising the chance of leakage or spills. It offers a wattage range of 18W-25W, and while it is not ideal for cloud chasing, it can provide a smooth vaping experience. The internal battery eliminates the need for buying any additionalparts and offers a convenient plug-in charging style, so there is no need for an external battery charging tray. This mod features a distinctive, colourfuldesign, as well as some of the most advanced vaping technology available today. With the Michael Walking Dead Edition VO200 Mod, you will experience adjustable wattage ranging from 5W to an incredible 200W, as well as advanced temperature control. The latest technologies allow this device to be packedwith protection against low battery voltage, low resistance and reverse polarity. You can also avoid dryhits with its built-in“Anti-Dry Burning Technology.” This powerfulmod also features a 5-setting memory bank so you can swap builds, RDA’s, or tanks with ease. Enjoy downloadable firmware upgrades as well, to keep your mod up-to-date. 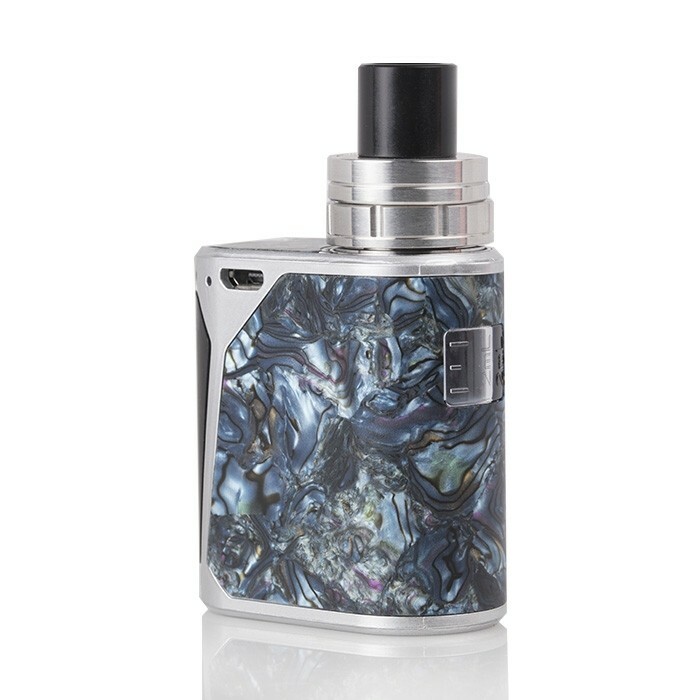 While beauty isn’t everything, and most vapers are ultimately concerned with the power of their mod, there’s no reason to decide between functionality and aesthetic. These vape mods all offer top-quality technology and firing power, as well as signature, visionary designs that any design enthusiast is sure to love, allowing you to chuck clouds in style.